Today we bow in humble submission to the will of God to thank Him for the life of Lucille Horne Holland. On Saturday, March 30, 2019 Lucille peacefully went home to be with the Lord. Lucille was born to the late Catherine Jones Horne and L. C. Horne on Sunday, August 8, 1954 in Fernandina Beach, Florida. She attended the local schools of Nassau and Duval Counties. Lucille had a close and loving relationship with her sister, Veronica's children; Damar Horne, Lamar Horne, Tamula Horne, and Ashley Horne. 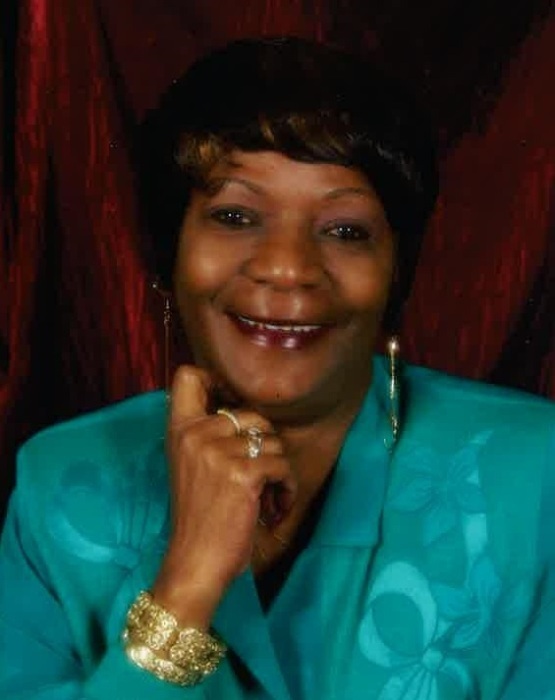 She was preceded in death by: husband, Tyrone Holland, Sr.; son, Tyrone "Tidy" Holland, Jr.; mother, Catherine Jones Horne; father, L. C. Horne; brother, Theodore Jones, Sr.; maternal grandparents, Charity Butts and Elder Roosevelt Jones; and paternal grandparents, Rosie Hamilton and W. C. Horne. She leaves to cherish her sweet memories, loving and devoted siblings, Johnny Jones, Veronica Horne, Keith Roberts (Amber), and Gwen Hughes (Rodrick); aunts, Alice Jones, Marie Jones, Sadie Jones, Debra McClain (Ted), and Missouri Williams; uncles, Ellis Horne, Sr. and Louis Williams (Angelia); great-aunt, Juanita Jones; great-uncle, Ivory Melton (Dedra); sister-in-law, Deloris Jones; brother-in-law, Bobby Charlton (Gladys); special relatives, Alberta Jones, Patricia Simon, Sabrina Surrency, and Joyce Whitlock; and a host of other relatives and friends.